Playwright Mike Daisey hosts a live Moth performance called OMG: Stories of the Sacred, at The New York Public Library. Andrew Solomon goes to Afghanistan in search of the artistic community and finds a reemerging, creative underground. Comedian Judy Gold talks about how Judaism helped her through some of her darkest hours. 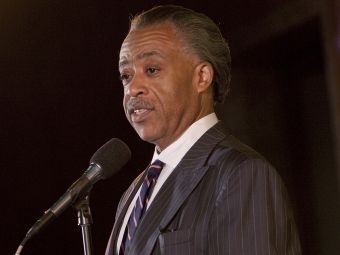 And The Reverend Al Sharpton finds forgiveness in his heart for the man who almost killed him. This Saturday is the Moth season finale and our final installment of stories told live without scripts. This week, hear stories of tragedy, intrigue, and a tattoo that reveals compassion among prison inmates. Reverand Al Sharpton was the keynote speaker at Burlington’s Martin Luther King Day Celebration Sunday. It was the first trip to Vermont for the sometimes controversial civil rights leader. The Greater Burlington Multicultural Resource Center hosted the event. Martin Luther King awards were given to Vermont Senator Bernie Sanders and Evelyn and Modisane Kwanza of Alpha Baptist Church.